How to add, edit and delete calendar events and manage attendees. 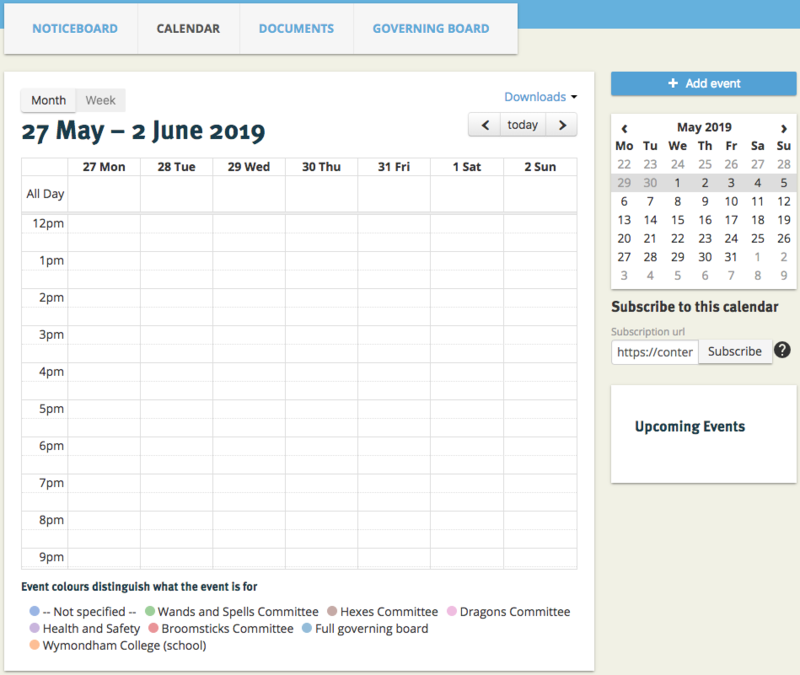 GovernorHub has a shared calendar - normally this would be updated by your clerk or chair but that's really up to you. All governors can see the calendar. Click on the 'Calendar' tab to see your board's calendar. You can navigate around the calendar with the arrows and choose whether you want to see a week at a time or a month at a time. Pick the date when the meeting is going to happen. Now either click with your mouse on the day you want to add a meeting and drag to select the time, or press the Add event button. You'll then see the meeting event as below. You can now fill in the meeting name, location and other details. Set the EVENT FOR to pick the committee this event relates to. This will colour-code the entry in the calendar. Link a folder of documents to this meeting by clicking on the Select a folder button. You can, if you like, create the folder at this stage too. If you're an admin, set attendees. You can add all the members of your board as the attendees by clicking on the Add all members button, or type in the box next to it to add whole committees or individual members. 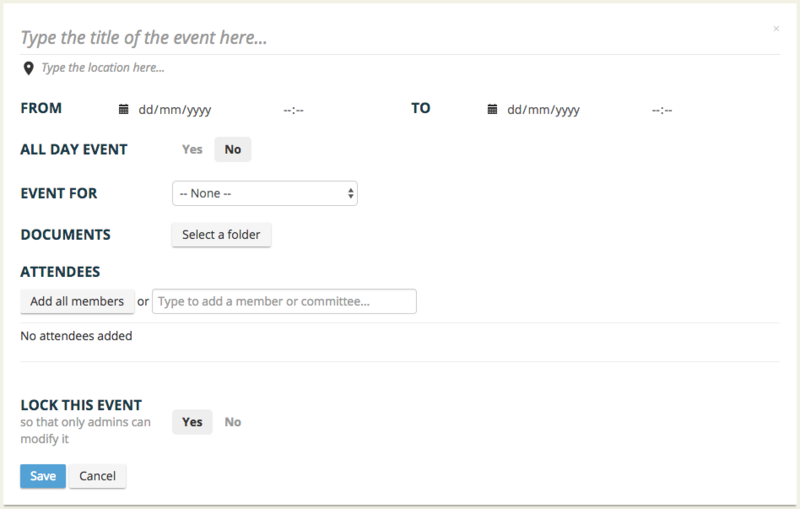 Once you've entered all the details for the meeting, click Save, and the meeting will be saved to the shared calendar. If you need to change anything, click on the meeting in the calendar and click on the Edit button. Or click on the Delete button to delete the meeting altogether. And if you've added attendees, you can download a sign-on sheet to take to the meeting by clicking on the Download sign-on sheet button. If you're an admin for your board, you can track the attendance for each meeting. See this article for help on tracking attendance.